I was already looking forward to Namu Gaji moving to my hood and on the first visit, I was officially hooked (returns have been frequent). 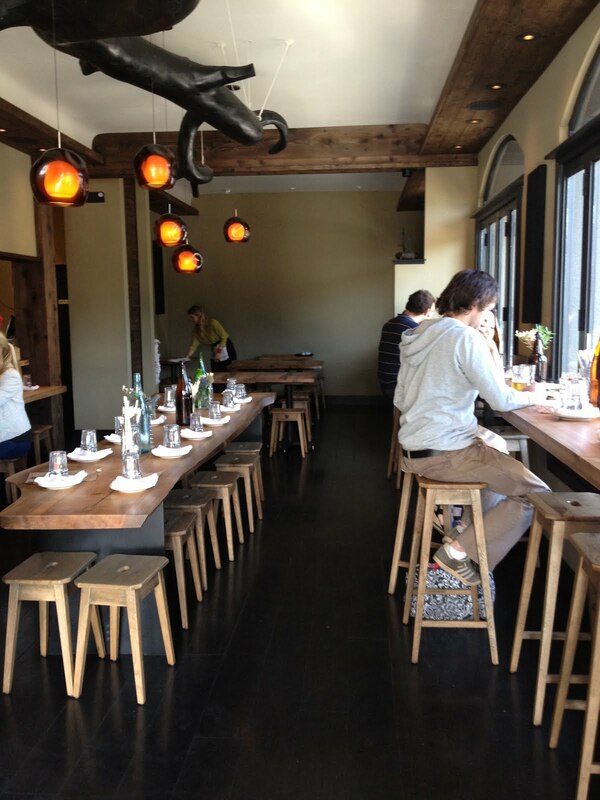 The space is casual chic and the vibe friendly. 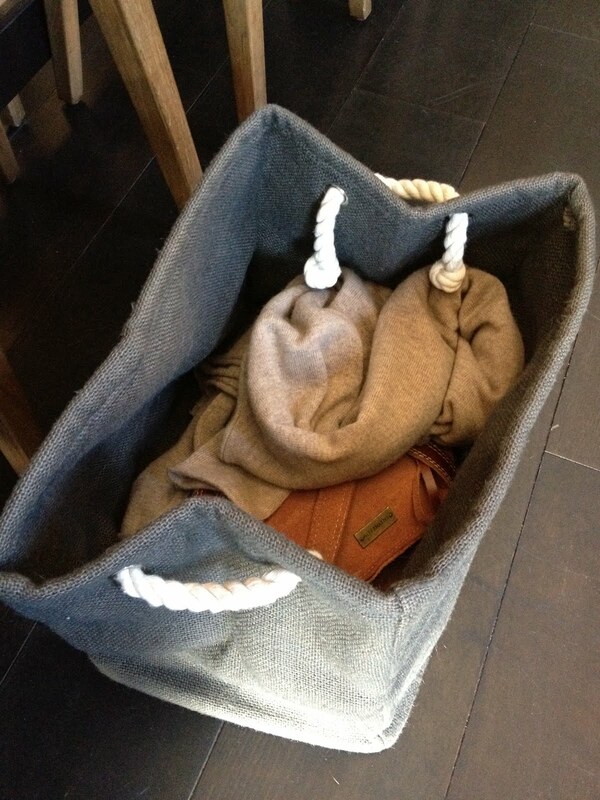 Small little touches like individual baskets to stow your bag/jacket/helmet are spot on. 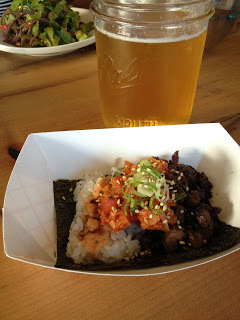 If you find yourself hungry/thirst on the early side, happy hour is from 4:30-6 with small bites available, like Korean tacos. 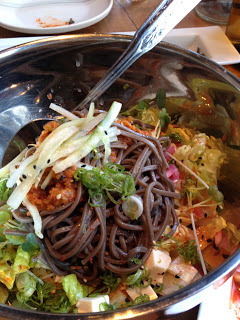 You can transition into dinner once that menu starts. 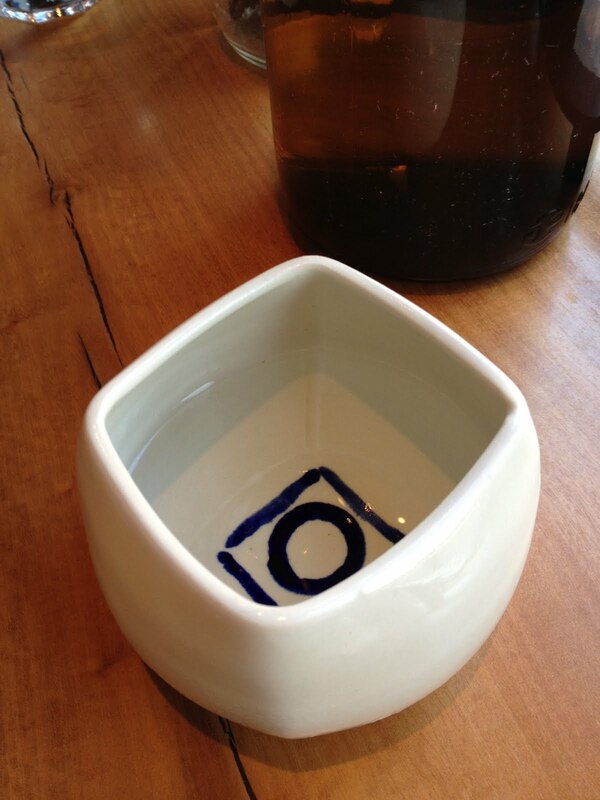 Sake pours are not only generous, they arrive in beautiful vessels. I’m a pickle freak, so the complimentary banchan was a bonus. 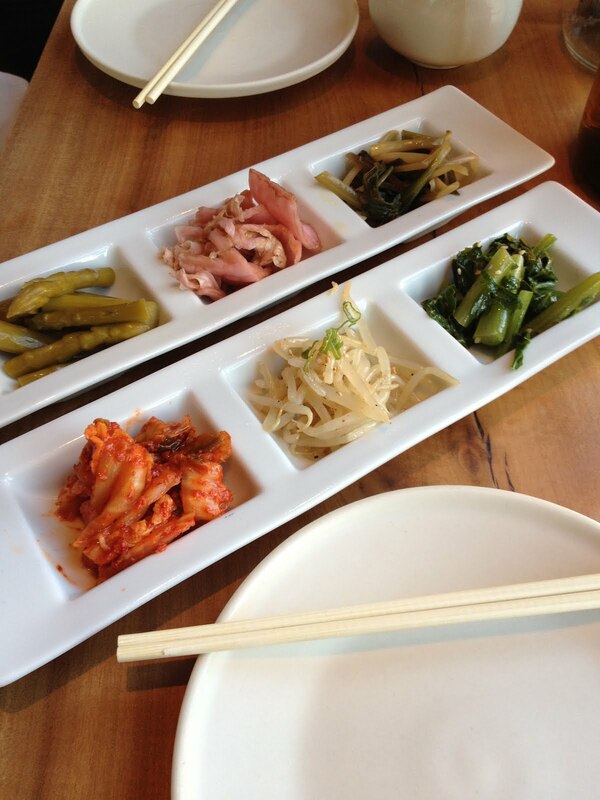 All told: asparagus, cabbage, ramps, kim chi, sprouts and greens. 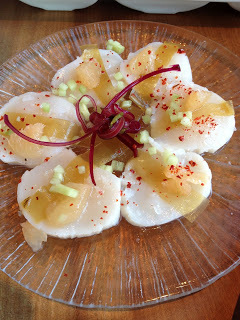 Tender, melt in your mouth, raw scallops with cucumber, grapefruit and marinated kombu, with beet stem garnish. Cold soba salad with tofu, little gem lettuce, pea shoots, scallions, cucumber, sesame seeds, pine nuts and kimchee vinaigrette. 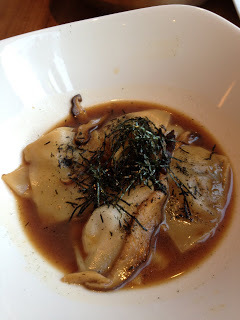 Soft and chewy shitake dumplings in an incredibly rich dashi (drinking the last drop is highly encouraged). In the comfort category is one of my fav dishes: a sizzling stone pot of deliciousness brought to the table with rice, steak, daily banchan, mushrooms, egg and gochujang (spicy Korean chili sauce). 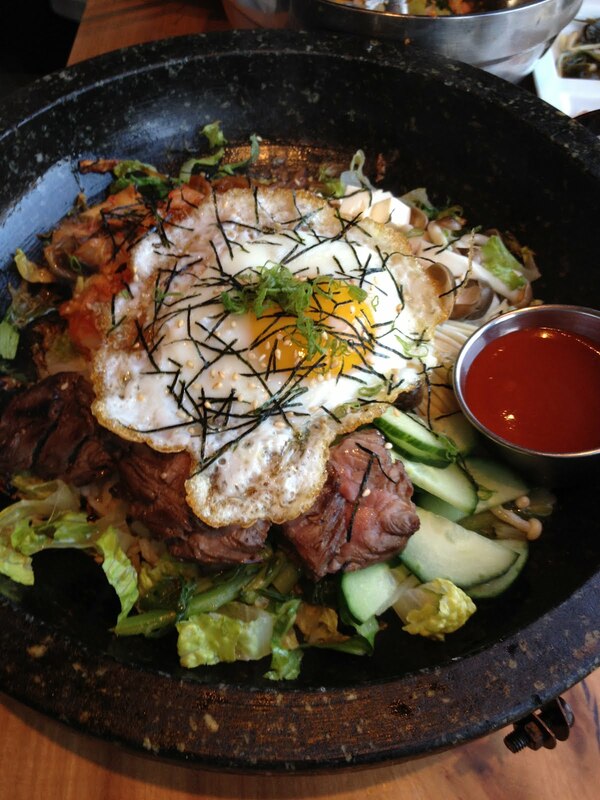 Tip: if you leave it sizzling a few extra minutes, the rice on the bottom gets golden crispy. 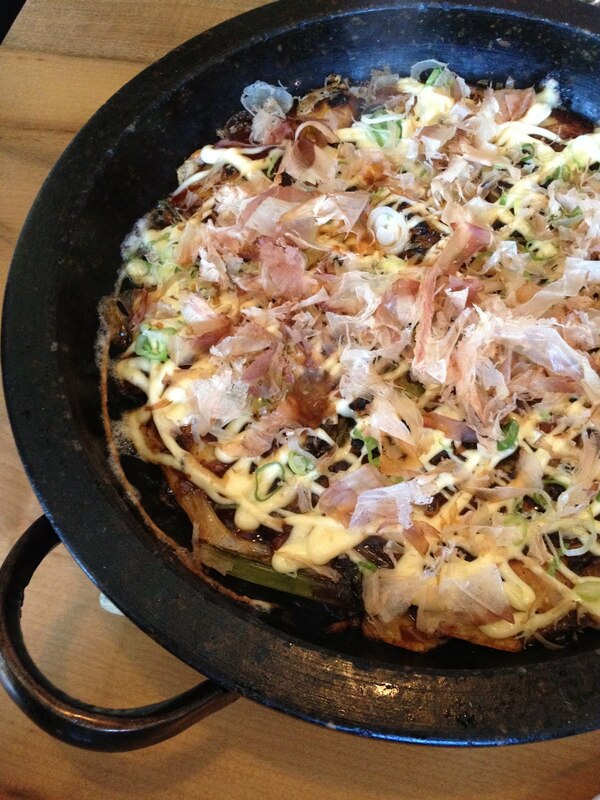 Okonomiyaki is a rich, savory pancake with kimchee, oysters, yamaimo (root veg), cabbage, scallions, kewpie (mayo), okonomiyaki sauce, and bonito flakes that dance from the heat of the skillet. Shave ice seems to be the dessert of choice at Namu Gaji. 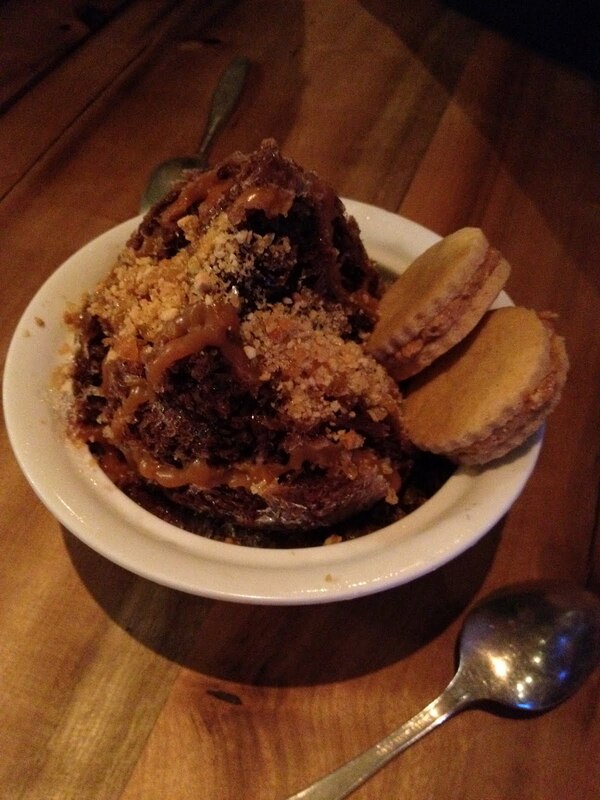 My favorite rendition to date is the caramel-drizzled chocolate with salted peanut butter cookies on the side. Be sure to say ‘Hey’ if you spy me when you go — there’s a good chance you will.